Many fans of Elder Scrolls V: Skyrim probably would've preferred a direct sequel to that game rather than Elder Scrolls Online, an MMORPG set in the same world. However, ESO is actually a great option for Skyrim veterans. It's still too early to say whether Elder Scrolls Online will be a better overall game than its single-player predecessor. However, the development team at ZeniMax made smart gameplay changes in ESO that correct some shortcomings with Skyrim. I say that as someone who considers Skyrim their favorite game of the past generation. Let's run down the reasons that ESO manages to outdo Skyrim, one by one. Half of every Skyrim battle was spent inside the inventory. The game paused when you opened your inventory so it was your impenetrable sanctuary. You fire off your most powerful abilities and then retreat to your bag to shotgun a few magicka or stamina potions. If the enemy manages to get some hits on you, you chug a healing potion or two as well. Repeat the cycle until everything's dead. ESO's combat is much more complicated. It's not just because of the lack of a pause button. You'll have at least 6 abilities to juggle in combat even in early levels. These abilities are in addition to your normal weapon attacks, blocks and dodges. The enemies in ESO make for more interesting prey, too. My preferred Skyrim tactic of running in circles until enemies get caught on something doesn't work anymore. Simply standing in one place and trading blows doesn't work so well, either. Many of them have powerful abilities that you need to interrupt or avoid. Certain quest bosses at early levels will just wreck you if you don't pay attention. Your skill at the game matters in a way that it didn't in Skyrim. The user interface for Skyrim was a mess. Players' inventory was squeezed into a narrow, text-only list on the side of the screen. Most space on the screen was taken up by a 3D model of the selected item. This was pointless because it's not like the game is Ace Attorney. The only item you needed to examine was a key with special symbols on its bottom. You could set certain items as "favorites" to access them quicker but the favorites list ended up a mish-mash of weapons, skills and consumables. Elder Scrolls Online didn't need to do much to surpass Skyrim on this front. The inventory screen is at the center of the screen rather than tucked in the corner. Each item has an icon next to it to make it easier to find what you're looking for. Your character's equipment is displayed on a "paper doll" interface so you can check it at a glance. The MMORPG also handles hotkeys more intelligently. Items, weapons and abilities aren't all thrown together in one list. Special abilities are mapped to six keys on your hotbar. You can swap between two weapons with a press of a different button. Consumables, meanwhile, are accessible from a radial menu that pops up when you press "Q." The radial menu uses icons so that you can identify what item you want right away. The net result of these changes is that you spend more time fighting monsters than menus. Skyrim was a gorgeous game that took players through snow-capped mountains, dark forests and ancient ruins. Still, there's a limit on how much variety that this one province can offer. Elder Scrolls Online isn't as handicapped. 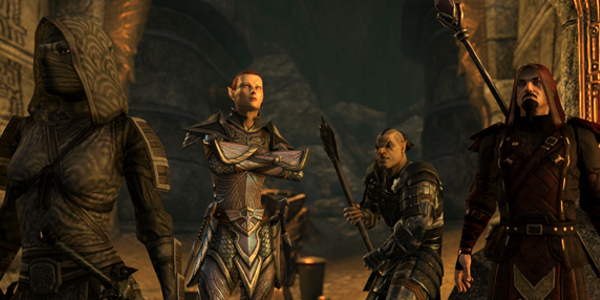 ESO takes you through several regions of Tamriel. You'll travel not only to Skyrim but also Morrowind and Cyrodiil, the settings for previous single-player Elder Scrolls games. There are also some locations that were never seen in the series before. You'll trek through deserts, jungles, swamps and more in your quests. It's hard to get bored with scenery that diverse. As large as ESO's world is, it's only going to grow as the game ages. There are several parts of Tamriel that still haven't been added to the game, like the Black Marsh. Some day we might be able to walk from one end of the continent to the other. Even without the future additions, though, ESO offers an impressive world to explore. My experience with crafting in Skyrim was limited to an afternoon. I crafted dozens upon dozens of iron daggers until my skill was maxed out. Then I made some glass weapons and dragon armor and upgraded it to hell. That was the end of my blacksmithing career. Maybe the best aspect of crafting in Elder Scrolls Online is the fact that you can use materials you've stored in the bank. This is extremely convenient considering how much bag space those materials take up. One of the most annoying parts of Skyrim was lugging around those heavy dragon bones for crafting armor. Not being forced to carry around crafting materials during your adventures means that you don't need to go on crafting binges. It's an activity you do throughout your leveling experience. 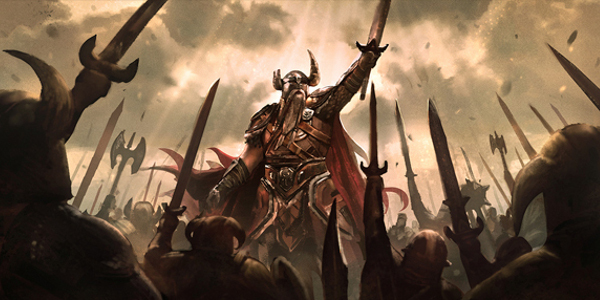 Part of Skyrim fans' resistance to Elder Scrolls Online was that they were very happy with the standard, single-player Elder Scrolls experience. They enjoy pursuing an epic quest and being able to wander off the beaten path at any moment to explore a dungeon or side quest they found along the way. 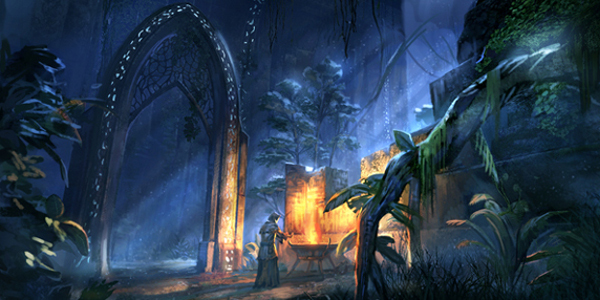 The expectation was that ESO discarded that formula in favor of a standard MMORPG with Elder Scrolls lore. What I've realized from playing ESO is that the core single-player experience is still there. You can play the game like a solo Elder Scrolls game if you want. There are plenty of story-driven quests, big and small, to pursue. Many of them can be found simply by strolling aimlessly through the wilderness. The multiplayer aspects just serve as a complement to this experience. You can ignore them if you wish, but you might enjoy fighting in a war with hundreds of other players or tackling a challenging dungeon with other players. 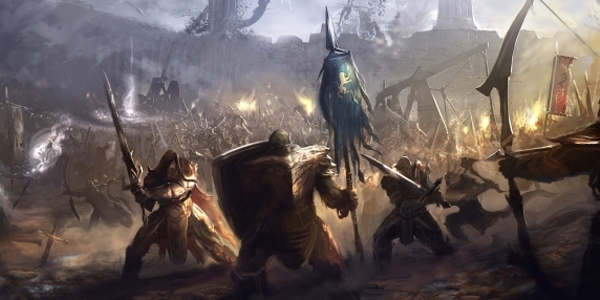 The group content allows you to become a pure healer or tank, roles that you really can't experience in solo questing. The vast open worlds of the single-player Elder Scrolls games can be a bit lonely and having the option or playing or chatting with other players certainly helps that feeling. If you're fine being the lone wolf, though, you can still just go off on your own and ignore the group content.